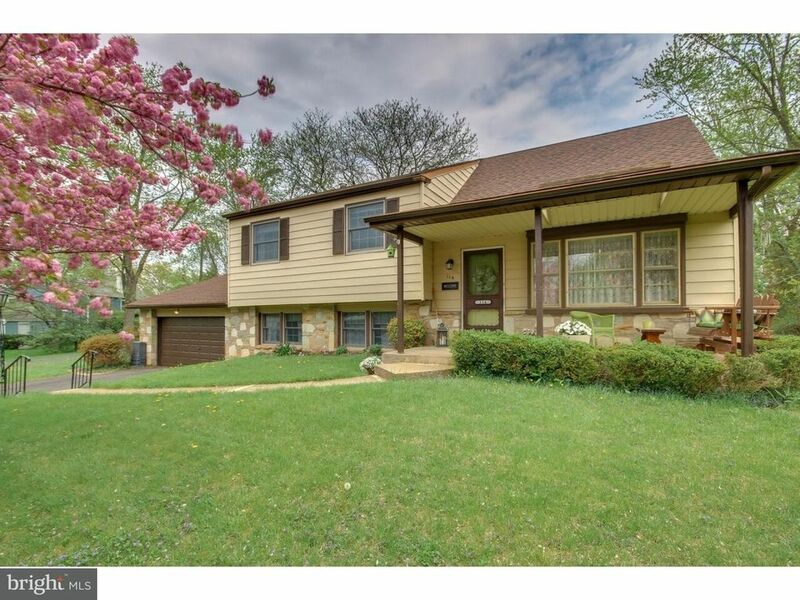 Beautiful and lovingly cared for split level. Features the expanded lower level recreation room, 2-car garage; front patio and rear sunroom! Relax on your covered front porch. Colonial feel throughout with Country French color scheme. Hardwood floors under wall to wall carpeting. Hardwood floors exposed on upper level in bedrooms. Remodeled eat-in kitchen with beautifully refinished cherry cabinetry, Granite counter tops and island. Newer stainless steel dishwasher. Formal living and dining room. Dining room opens to huge sunroom, great area for entertaining! Fabulous lower level recreation room with wood burning stove and stone surround. Remodeled powder room. Sunroom overlooks Wide yard with cement slab to the left in place for a shed or additional sitting area. Laundry room with side exit door to over-sized two-car garage with newer garage door and extra wide driveway. Exit door to side yard. Anderson wood and vinyl clad windows t/o with exception of large front picture window. Exterior features flowering trees and shrub on a professionally wide landscaped yard. Wonderful home, move-in ready but with so many possibilities to personalize as your own!